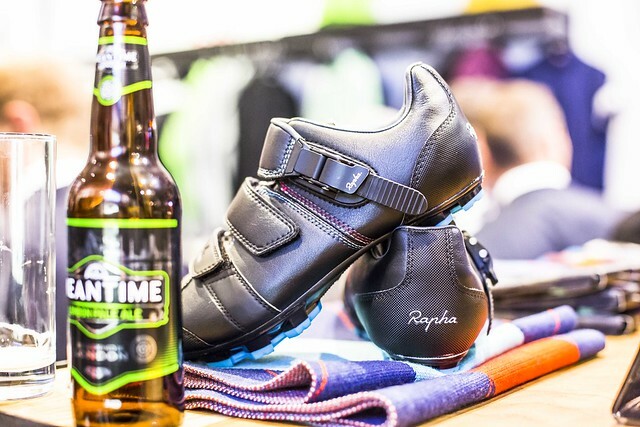 In the agonisingly cool Rapha Cycling Club on Brewer Street, a captive audience of private investors, financial advisers and asset managers sipped champagne. Cerno Capital had brought them together from all over the UK for one common passion – cycling. And they were in good company. Fran Millar, founding member of Team Sky, was conducting a question and answer session chaired by sports journalist and Mixed Zone contributor Eleanore Kelly. Since 2010, Team Sky have become one of the most ground-breaking and successful professional teams in history. Millar, Director of Business Operations, is an integral part of that success. They are maverick, innovative and relentless in their pursuit of victory, notching up three Tour de France victories in just four years. Team Sky’s success story transcends sport. It is the prime example of a team’s insatiable drive to be the best. And the audience of cycling fans were desperate to know the secrets behind one of the most enigmatic and ruthless teams in sport. The insight gleaned was remarkable. Millar, whose brother David was a professional cyclist for 18 years, spoke candidly about her career, her brother’s highs and lows, and life under Sir Dave Brailsford. She recalled how difficult it was to deal with the incessant doping allegations Sky faced this summer. And she revealed the values, or “winning behaviours” Team Sky live by to make a successful, clean British cycling team a reality. “We had this incredibly bold ambition – we are going to win the Tour de France with a clean British rider in five years and inspire one million more people to ride their bikes,” she said. “That was laughable at the time but we were on this mission. Bradley on the podium was our North Star. “But then we won it and won it again the next year. “Suddenly we were a world-leading team with two Tour de France champions. We needed to stop and work out what has got us here. “How do we maintain this success? How are we going to ensure the culture we have created stays? Success is a fantastic thing but it can also bed dangerous. “We involved the whole team and asked why do you think we win? What makes us special? We ended up with a set of genuine values about what we are. “They are our winning behaviours but creating them was as much about identifying and eradicating losing behaviours as it was about reinforcing the winning behaviours. Of course it’s not that simple when you’re one of the most successful cycling teams in history and constantly in the spotlight. Team Sky had to endure incessant accusations of doping at this year’s Tour de France, which resulted in Chris Froome having urine thrown in his face for “just leading a bike race”. But Millar, whose brother David was caught and banned for doping in 2004, believes all the team can do is “be honest”. “We have to be. No, we don’t believe everyone in the sport is clean. Of course other people will cheat, that’s human nature,” she said candidly. “I feel desperately sorry for the young lads who are a million miles from doping but are constantly told you’re lying and you’re cheating. They have to show how that feels. “But the sport has the most horrific history. It will take a long time for people to trust it. “Our job is to demonstrate they can trust us. It’s a long slow process but we’ll get there. So with all eyes firmly fixed on what happens on the road, what about Millar personally? How does she cope as a lone female figure in a predominantly male environment? Instead of dwelling on the gender imbalance, Millar believes it is an advantage. “I think differently and that is very important when dealing with young men, who can be ruthless and lack compassion. I lend a broader spectrum,” she said. “It’s so important to have diversity, whether it’s male, female, young, old, black or white. We need a broad range of thought to avoid group thinking. And Team Sky are still going places. Rather than being pigeon-holed as a Tour de France team, they are also setting their sights on a Giro d’Italia victory with Mikel Landa, as well as targeting the Classics with the likes of Geraint Thomas. “We want more success,” Millar stated. “We want to be undisputedly the best clean team winning the Tour de France. But I am also desperate to win a Classic and we have the talent to do that for sure. “We want to win everything. The Giro. The Vuelta. We want to be the best we possibly can. Scroll through the photos of the event or click the thumbnail to view the album.